Upper Allen Fire Department » Blog Archive » Christmas Tree Sales Begin at UAFD!!! Christmas Tree Sales Begin at UAFD!!! The Upper Allen Twp. Fire Department is once again selling Christmas Trees as a fundraiser for the department. Our 2018 trees are setup along English Dr as your approach the Fire Station. 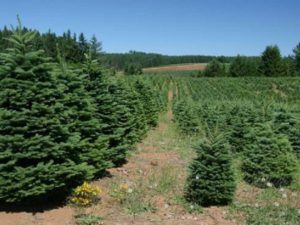 We carry Douglas Fir and Fraser Fir Christmas Trees. They are FRESH CUT trees and they are available now, as we cut 20 this morning and we will cut more this weekend. Stop out and grab your Christmas Tree from UAFD!!!! This entry was posted on Friday, November 23rd, 2018 at 8:15 pm. You can follow any responses to this entry through the RSS 2.0 feed.